Sound like they a running a very interesting program there. A box like this would definitely be a great gift. 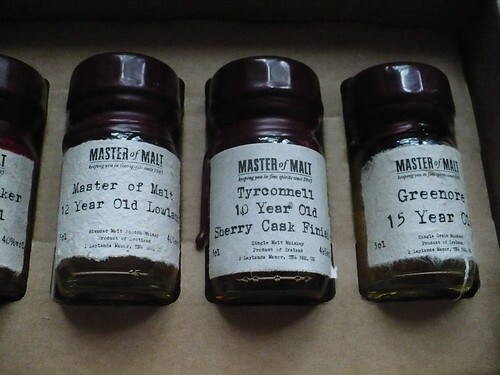 I have never bought anything from Master of Malt. Both times I received packages from them, MoM sent them to me as free samples for promotional purposes. However, if you go here (http://www.masterofmalt.com/delivery/) and click Frequently Asked Questions, they address the customs issue, under the heading “Do we ship to your country?” Namely, it seems to be the case that most MoM shipments make it into the U.S. without Customs even being aware that there’s booze inside the box. Thank you! I think I will order but am nervous I am going to lose money! But if you got your samples, Im assuming they were overlooked. Did the box clearly state it was alcohol? Sorry so many questions!